It was a muggy, rainy night and mosquitoes by the hundreds were positioned and waiting on the outside of the mesh of my inner tent. With the cold, wind, and altitude of the past several days, we’d hardly seen a mosquito since leaving Spider Lake 9 days ago. Now, back in the woods at just over 8,000 feet, it was time once again for headnets. We packed up quickly this morning, excited to be done and looking forward to a traditional post-trek meal in Jackson. The thought of a giant burger has now dominated our conversation for the past few days. We covered the final seven miles of trail rapidly, taking a few breaks to pause, turn around, and note the incredible stature of Squaretop Mountain behind us – the Wind Rivers’ version of a Yosemite massif like Half Dome. At the trailhead, we swam in Lower Green River Lakes not only to rinse off the 11-day old patina of sweat, zinc oxide, and insect repellent, but to make the 9-hour car ride home more tolerable. Certainly the other patrons as the restaurant in Jackson will appreciate it as well. Exiting a trip like this comes with mixed emotions for me. I’m ready for a few first world conveniences, like a hot shower with lots of soap suds, the ability to communicate with friends and family and share what we experienced with them, and most of all, the companionship of my wife. But driving home, I can’t help but think about where my experiences with these young men will go from here, as we begin the process of graduating two of them to college this year, including my own son Chase, and wondering what life transitions will bring Stephanie and I and where those transitions will take us. So it’s not without some anxiety that I know change is coming, and unsure of what that change will bring. Like Reinhold Messner said, there shall be no adventure without uncertainty. And then there is that all-too difficult thing called re-entry – dealing with what ultimately amounts to the petty nuances of civilized living, where everything seems urgent but lacks meaning or importance, and where your energy is diverted from surviving an expedition in a wild place to responding to unending requests from others. This is the part of re-entry I fear the most, not only for me, but for the others on this trip. And my past experience always suggests that the harder the adventure, the deeper the engagement with the wild is, the harder re-entry is, and the less anyone who wasn’t there will understand it. 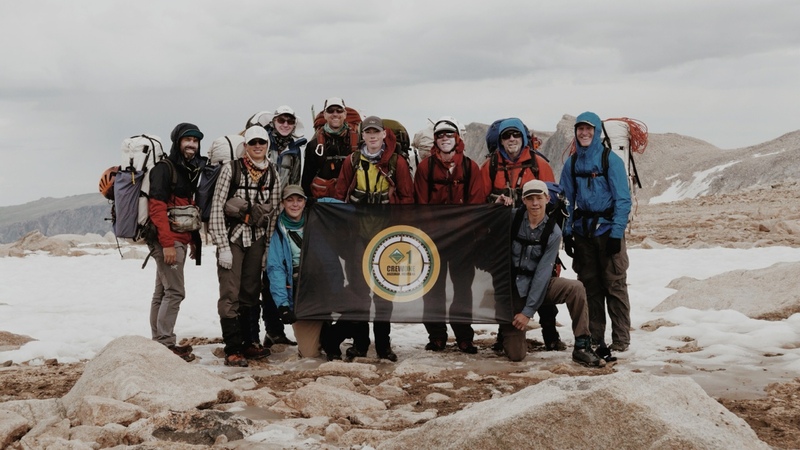 I’m tremendously grateful for the other adults that made this expedition happen – parents who supported their boys, the dads that joined us on the trip, and our Crew Advisor, Eric Vann, who has sacrificed so much to ensure that order came out of chaos and that we were able to set foot on the trail at all. Eric’s friendship and support, and bonds we’ve forged by laughing our way through adversity in the Wilds – I will cherish forever. Looking back, I can only say that Crew One has become exactly what I hoped it would turn into: a place where boys with a thirst for adventure and willingness to suffer would voluntarily put themselves in a position to guarantee uncertainty and adversity. Watching them face these demons head on, and work together to conquer the challenges has been the most satisfying aspect of my career in Scouting. Moreover, I fully understand that the experiences they had over the past 11 days revealed only to themselves a little bit about who they are in ways that will impact them for a lifetime. Finally, it’s a beautiful thing – team partnership – that evolves when suffering adversity together. It’s something that can be built no other way. And the Wind Rivers offered adversity in spades to us this year. There are three goals, in order, on any climbing expedition: come home alive, come home friends, reach the summit. We accomplished all three and can only count this years Crew One Expedition as a resounding success. Photo: Crew One at the end of our Glacier Traverse on Day 10, on the Continental Divide at 12,500′ above the headwaters of Tourist Creek.